Thousands of participants and graduates of MASA program arrive this week in Tel Aviv to sing 'No Place We'd Rather Be' together. Thousands of Diaspora Jews gathered Monday at Ganei Yehoshua in Tel Aviv for a joint mass singing ("Koolulam") of the song No Place We'd Rather Be. The event was attended by GA 2018 participants, MASA CEO Liran Avisar Ben Horin, Jewish Agency Chairman Yitzchak Herzog, Government Secretary Tzahi Braverman, Masa Chairman Ilan Cohen, Jewish leaders from around the world, participants and graduates MASA programs and other dignitaries. 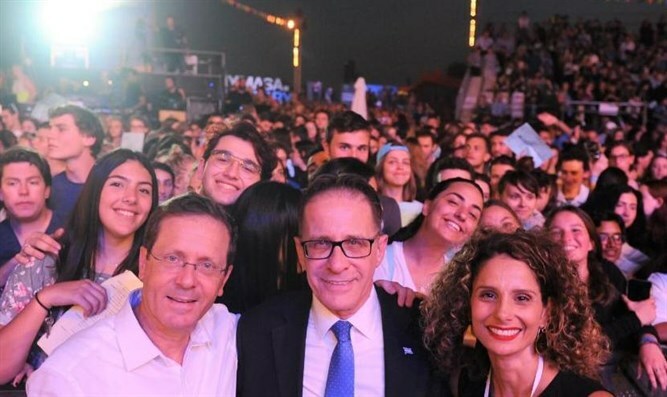 Jewish Agency Chairman Yitzchak Herzog called on young Jews from around the world to join the MASA program: "I'm excited to note in my new capacity as Jewish Agency Chairman the launch of MASA, one of the most strategic programs of the Jewish Agency because it attracts Israelis and Jews from all over the world every year. "Every year, thousands of young Jews come to Israel to participate in the exciting experience of MASA and to live with the true Israel, to meet their sisters and brothers in their historic homeland and to strengthen their Jewish identity. I call upon all young Jewish men and women from around the world to join one of MASA's fascinating programs," added Herzog. MASA CEO Liran Avisar Ben Horin said: "We're proud to launch another year of action in the State of Israel, in a variety of activities, with high-quality participants with a sense of mission, who come to us from around the world." 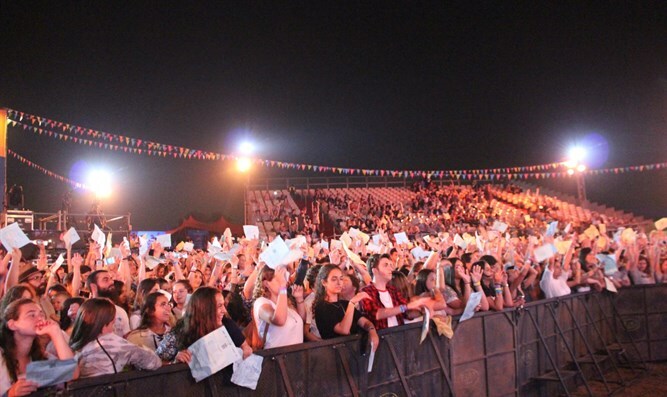 "The event of the greatest Koolulam of Diaspora Jewry, attended by thousands of young people and Jewish leaders from all over the world, was exciting and powerful," said Ben-Horin, "the event created an uplifting melody - a spirit of Jewish and Israeli hope. The event is intended to convey a message of connection, partnership, and responsibility for the future of the Jewish People and the State of Israel."